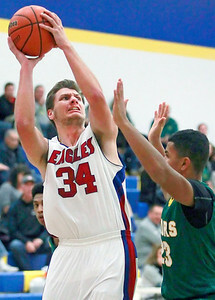 Candace H. Johnson – For Shaw Media Lakes Ian Haflinger looks up for a shot against Crystal Lake South's Malik Smith in the third quarter during the boys varsity basketball tournament at Johnsburg High School. 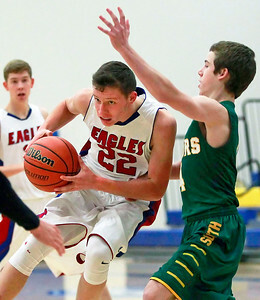 Candace H. Johnson – For Shaw Media Lakes Logan McCann drives to the basket against Crystal Lake South's Benjamin Geske in the third quarter during the boys varsity basketball tournament at Johnsburg High School. 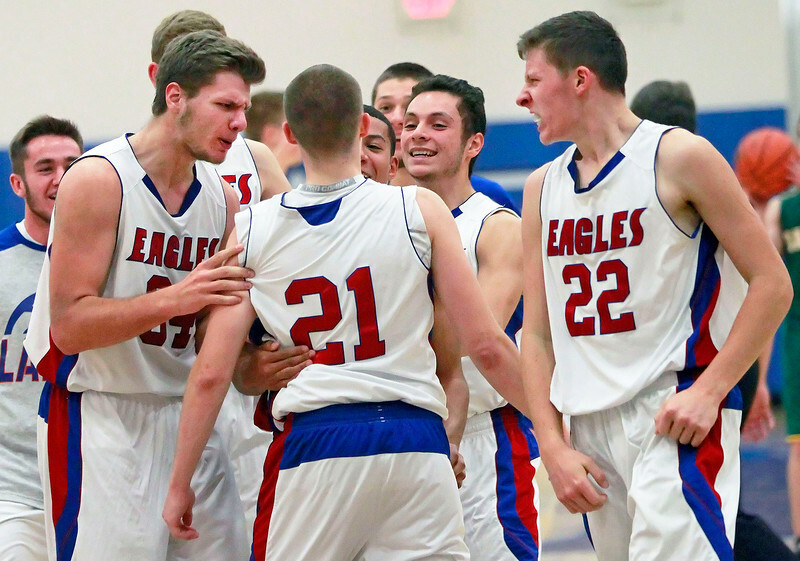 Candace H. Johnson – For Shaw Media Lakes Kyle Rohr (#21) celebrates with his teammates after scoring the game-winning basket against Crystal Lake South in the fourth quarter during the boys varsity basketball tournament at Johnsburg High School. 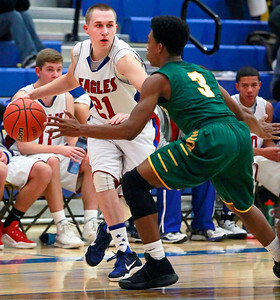 Candace H. Johnson – For Shaw Media Lakes Kyle Rohr looks to drive around Crystal Lake South's Michael Weatherburn in the third quarter during the boys varsity basketball tournament at Johnsburg High School. 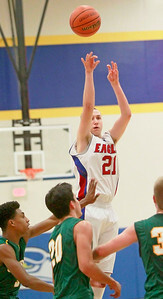 Candace H. Johnson – For Shaw Media Lakes Kyle Rohr leaps up for a shot against Crystal Lake South defenders in the fourth quarter during the boys varsity basketball tournament at Johnsburg High School. 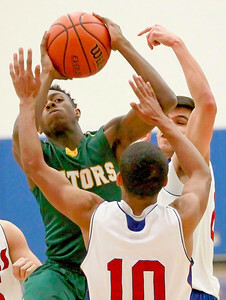 Candace H. Johnson – For Shaw Media Crystal Lake South's Joshua Smith goes up for a shot against Lakes Demetrius Michels in the first quarter during the boys varsity basketball tournament at Johnsburg High School. 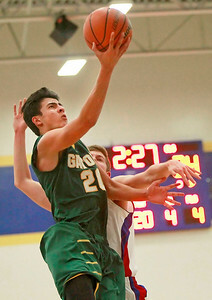 Candace H. Johnson – For Shaw Media Crystal Lake South's Matthew Meyers puts up a shot against Lakes Stephen Gerrits in the second quarter during the boys varsity basketball tournament at Johnsburg High School. 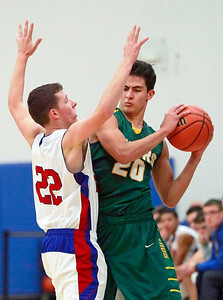 Candace H. Johnson – For Shaw Media Crystal Lake South's Matthew Meyers (#20) looks to pass against Lakes Logan McCann in the third quarter during the boys varsity basketball tournament at Johnsburg High School. 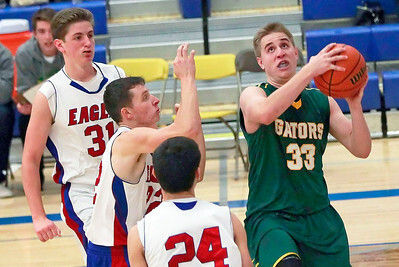 Candace H. Johnson – For Shaw Media Crystal Lake South's Tyler Haskin (#33) looks up for a shot against Lakes defenders Jack Christensen, Logan McCann and Wade Parmly in the third quarter during the boys varsity basketball tournament at Johnsburg High School. Lakes Kyle Rohr (#21) celebrates with his teammates after scoring the game-winning basket against Crystal Lake South in the fourth quarter during the boys varsity basketball tournament at Johnsburg High School.